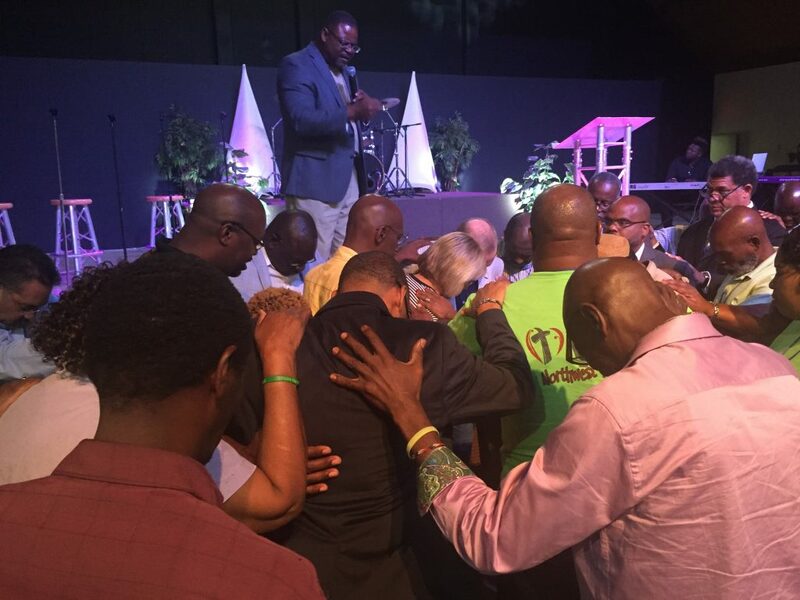 Jeffery Singletary, regional catalyst for the Central Region, leads participants of the Black/Multicultural Conference to pray for Dr. Tommy and Karen Green. With a theme, “We’re Better Together,” 375 black and multicultural pastors and laypeople gathered at Lake Yale Baptist Conference Center Aug. 5-6 for the Black Multicultural Church State Fellowship Conference – the first gathering of its kind for Florida Baptists in 20 years. Black and multicultural churches “are a crucial part of the health and success of the Florida Baptist Convention. The central message was that we are better together. We need each other to survive and thrive within the post-Christian culture of our nation,” agreed Jeffery Singletary, Florida Baptists’ regional catalyst for Central Florida. After a two-decade hiatus, the conference was needed at this time for a variety of reasons, Singletary said. Designed for both pastors and laypeople, the conference featured keynote messages as well as training sessions on worship, family ministry, women’s ministry, men’s ministry, Christ above culture, team leadership, senior adults, youth ministry, children’s ministry and evangelism. Green, who recently celebrated his one-year anniversary leading Florida Baptists, “has as his heart a Convention for the churches. Every church – mega, large, small, church plant — is valued. This conference was a great catalyst for rebuilding relationships with our legacy churches who have fallen through the cracks,” said Coats. Other speakers at the conference included: Erik Cummings, pastor, New Life Baptist Church of Carol City in Miami and secretary of the SBC National African American Fellowship; Richard Dunn, senior pastor, Faith Community Church, Miami; Jerome Symonette, pastor, Restoring Grace Community Church, Ft. Lauderdale; Mark Croston, national director, black church partnerships, LifeWay Christian Resources; and Sherard Burns, pastor for preaching and vision, Renewing Life Church, Miami. Emanuel Roque, Florida Baptists’ Hispanic church catalyst, led a breakout session at the two-day conference. “It was my joy to worship, be edified through preaching and share in fellowship as we seek to show how the gospel unifies us . . . while also being challenged to reach Florida through all churches sharing and working together,” he said. “Beyond the issues of diversity, we need to be and we are united in what’s most important – the advancement of the gospel,” he said. “We’re Better Together,” the conference theme, “says it all,” he believes. Already, Florida Baptist leaders are making plans for next year’s conference, scheduled for Aug. 4-5, 2017, at Lake Yale Baptist Conference Center. Hundreds of Florida Baptists have already pre-registered for the event. “This was not a moment; this is a movement. 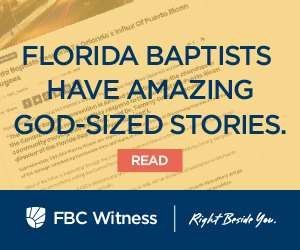 Next year’s conference promises to be bigger, better, larger and more diverse and inclusive, representing all of who we are as Florida Baptists, because we are better together,” Singletary said. Margaret Colson is an award-winning communications professional. Her passion is to tell the stories of how God is at work in the world. She earned a Bachelor of Arts in Journalism degree from the University of Georgia and a Master of Divinity degree from New Orleans Baptist Theological Seminary (NOBTS). She is currently working on her Doctor of Ministry degree at NOBTS, with a focus on crisis communications. Margaret is a marathon runner and avid traveler. She is married to Keith Colson. Together, they have four young adult children and four – soon to be five – grandchildren.